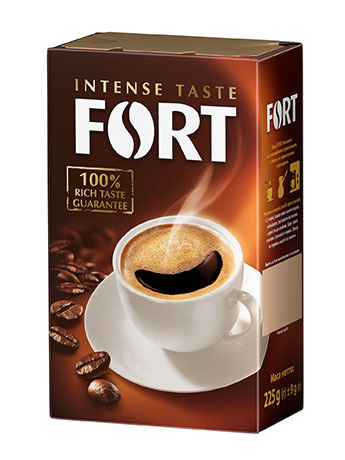 FORT — quality tested for years! 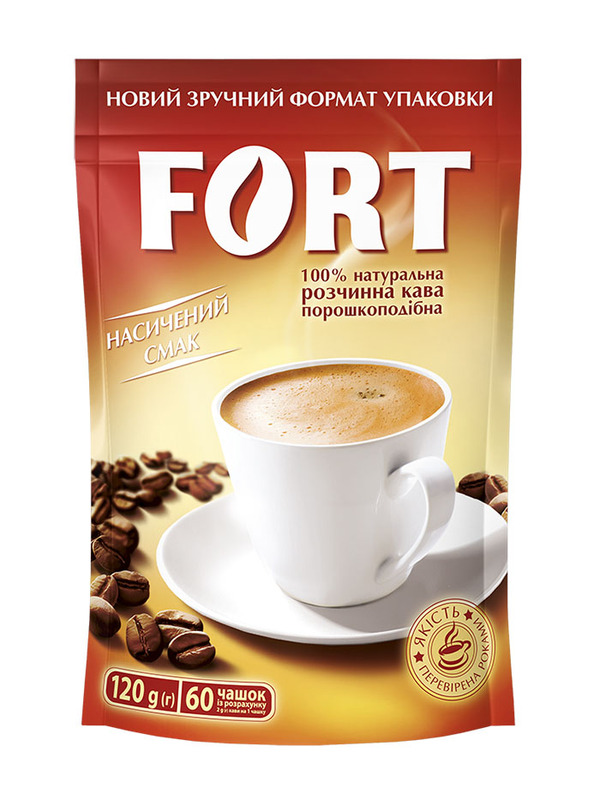 More than 18 years FORT coffee is available in the Ukrainian market. Loyalty to traditions and the recipe for years, help to please our customer year after year, the invariable quality of a favorite coffee. 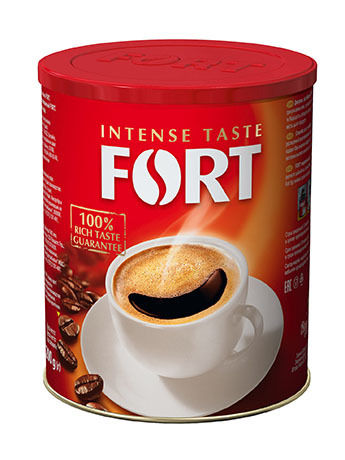 Coffee FORT is made exclusively from freshly roasted fragrant coffee beans. This approach fills every cup with a rich, strong taste that gives you energy for new achievements. FORT is always the right choice: quality coffee at an affordable price! 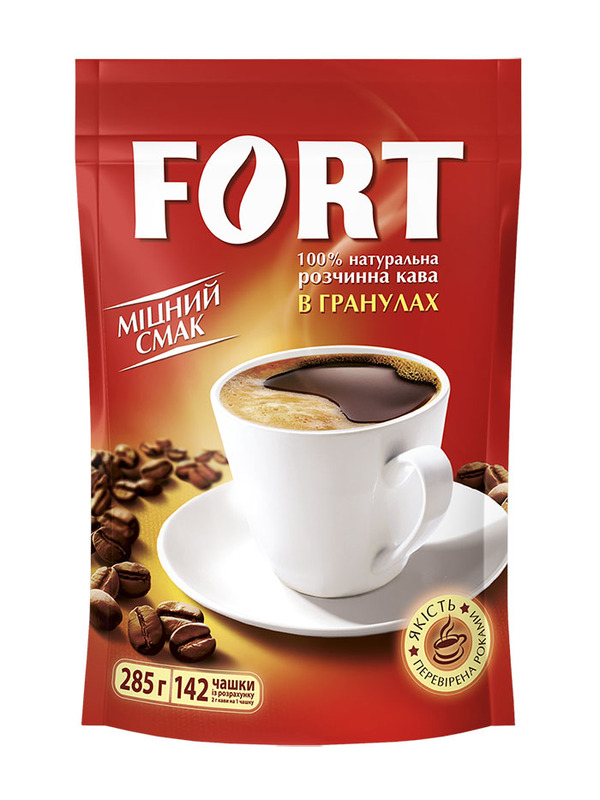 Ground coffee FORT - is a selection of dark brown coffee beans, a classic rich taste with minimal sourness and rich flavor. 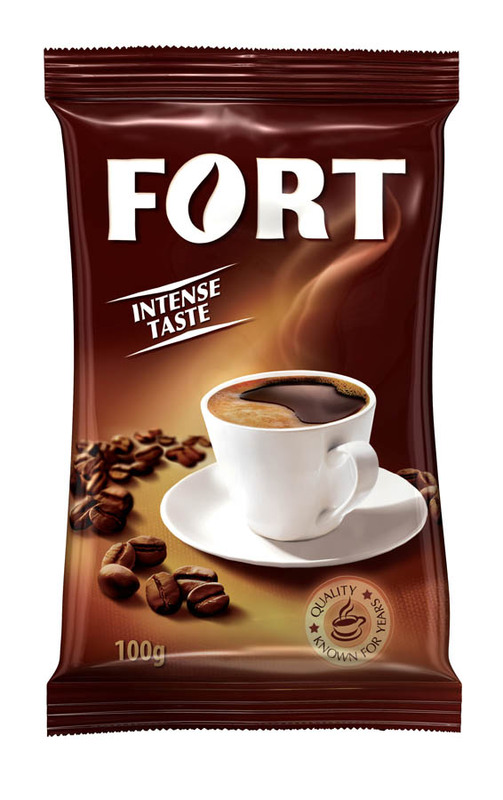 Ground coffee FORT is the selection of dark roasted coffee beans, classic rich taste with minimal sourness and rich aroma. Fragrant coffee with pronounced acidity in aftertaste. 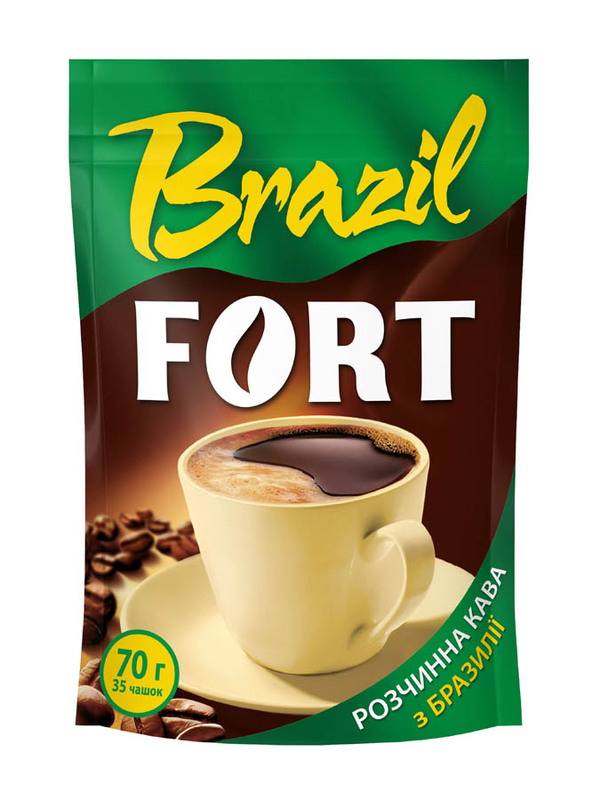 Strong instant coffee with rich taste and bright flavor. Strong and fragrant coffee from grains grown in sunny Brazil.